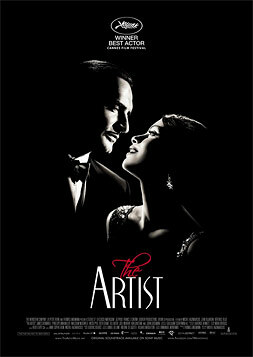 Audiences and critics across the country can’t stop talking about THE ARTIST, winner of 3 Golden Globe Awards, including Best Picture and nominated for 10 Academy Awards including; Best Picture, Best Director, Best Supporting Actress and Best Actor for Jean Dujardin who plays George Valentine, a dazzling screen idol of the 20’s who is driven to the studio in Hollywood each day by his devoted chauffeur Clinton, portrayed by James Cromwell. Berenice Bejo stars as Peppy Miller who runs into George at his latest film premiere and then as an extra on his next movie, as Hollywood falls under the sway of this captivating starlet on the rise who also works at the studio run by the cigar chomping mogul Al Zimmer, played by John Goodman. This exquisite film, which Time Magazine calls "The Best Movie of the Year", is directed by Michel Hazanavicius , who won top honors from The Directors Guild of America and is also up for Academy Award consideration in the Best Director and Best Writing categories in this heartfelt valentine to classic American cinema.